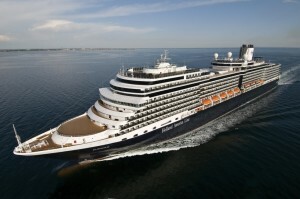 Based in Seattle Washington, Holland America Line (HAL) operates a fleet of 14 elegant, mid-sized ships with their latest ship, Koningsdam, making her debut in April 2016. They offer more than 500 cruises to 415 ports of call in 98 countries. They have another ship (sister to Koningsdam) scheduled to debut in 2018. She will be called Nieuw Statendam. In 2013, Holland America celebrated their 140th anniversary. Although they have been a subsidiary of Carnival Corporation since 1989, Carnival Corp. created a new entity, in 2013, called Holland America Group that includes both Holland America and Princess. The new group’s portfolio also includes luxury line, Seabourn. In addition to typical cruise ship activities, Holland America offers their guests complimentary Digital Workshops led by Microsoft-trained Techsperts. The Explorations Speaker Series on longer voyages features guest lecturers and discussions on topics related to the history, culture and cuisine of ports of call. They also feature their signature Culinary Arts Center, teaching guests party planning and other demonstrations and workshops. Club HAL is their children and teen programming with facilities and activities for guests aged three to 17. Here are some links to Holland America’s employment pages, hiring agencies, and concessions.